Otters are known for being adorable and playful creatures who form tight social bonds - but what's less well known is how they are being killed. Recreational trappers are targeting North American river otters, and most people probably don't even realize that this is still legal in many places across the country. "Otter trapping is often justified on the basis of overpopulation or supposed damage to fish stocks, but the reality is that their fur is lucrative," Jennifer Place, trapping spokesperson for Born Free USA, told The Dodo. 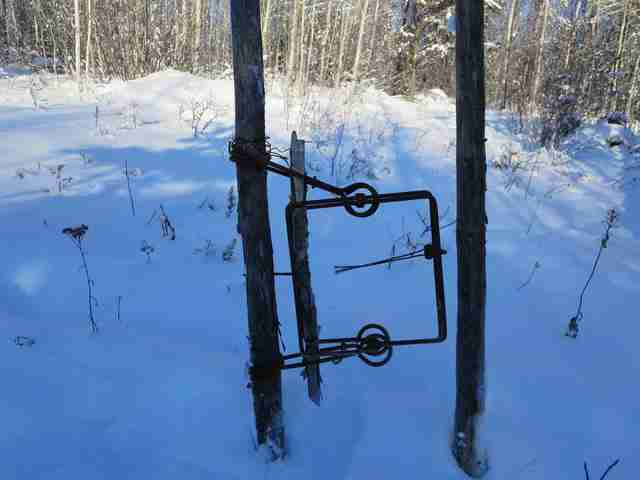 Body-grip, leg-hold and foot-hold traps are used to catch many different kinds of wild animals who, once caught, can wait days before being found and killed. With otters the traps can be particularly terrifying, since trappers targeting otters sometimes set the devices underwater in what is called a "pocket set trap," so the otter caught in the device drowns as he tries to get free. This can last as long as eight agonizing minutes. 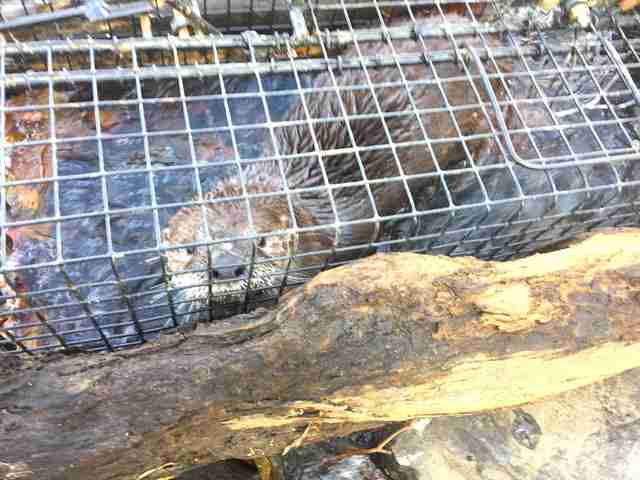 "Otters are most commonly trapped with Conibear traps - full-body traps that slam down on the animal but don't necessarily kill them, so that they experience drawn-out agony," Place said. Other times, hunters set a cage trap right by an otter's home (usually a den abandoned by another animal, like beavers), and bait the animals with a piece of fish. 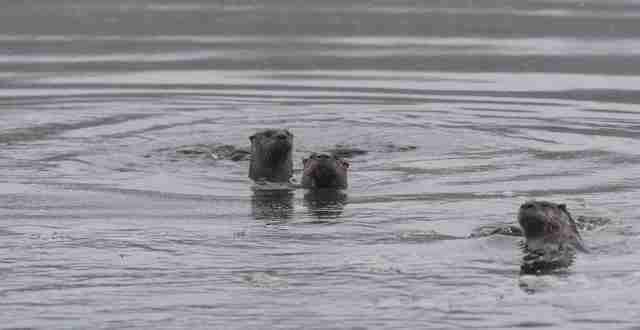 "There's no biological need to kill otters," Brenna Galdenzi, president of Protect Our Wildlife (POW), a group working to reform wildlife policies in Vermont, told The Dodo. "They're killed mostly for their fur, and some are considered to be a nuisance." That's because they eat fish that fishermen want to catch, she said. 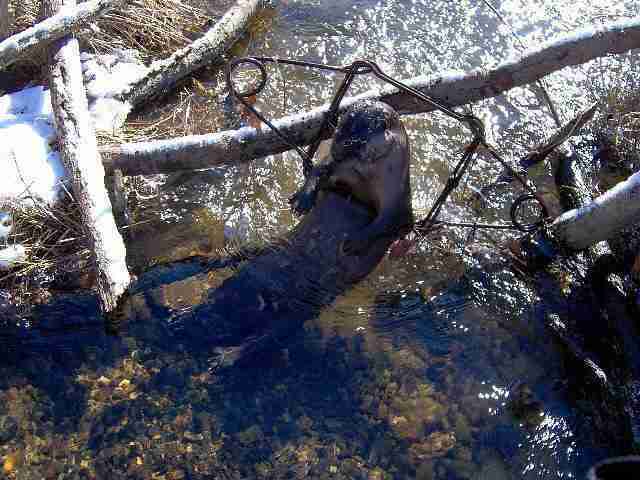 One place otter trapping is still legal is Vermont, where trappers are already allowed to kill an unlimited number of otters from October through the end of February - and now they are pressuring the Vermont Department of Fish & Wildlife (VFW) to expand the otter trapping season through the end of March, when many otters are already pregnant. "Extending the trapping season into the spring ensures that it will be pregnant mothers and newborn infants that experience this miserable fate," Place said. But many Vermonters, especially those who enjoy watching local wildlife, are concerned about the presence of trapping at all. "When people learn that Vermont still allows the use of such antiquated and agony-inducing traps, such as legholds, they are eager to learn how they can help stop it," Holly Tippett, secretary of POW, said. "Every year, dogs and cats, endangered and other protected species ... are caught in traps set for other animals." Trappers represent just three out of every 2,000 Vermonters; 75 percent of people living in Vermont think that painful trapping should be banned entirely, because of concerns about cruelty. "The department and the board do a great injustice to the residents of the state as well as future generations, when they manage most wildlife in terms of sustainable 'harvest' levels, rather than for the abundant populations that contribute to dynamic, vigorous and resilient ecosystems, and which may be enjoyed by all residents of the state," Mollie Matteson, senior scientist with the Center for Biological Diversity, said. In 2007, Vermont trappers successfully petitioned to expand the beaver trapping season. But because many of the traps set for beavers also incidentally trap otters, now trappers want the season expanded for otters as well. 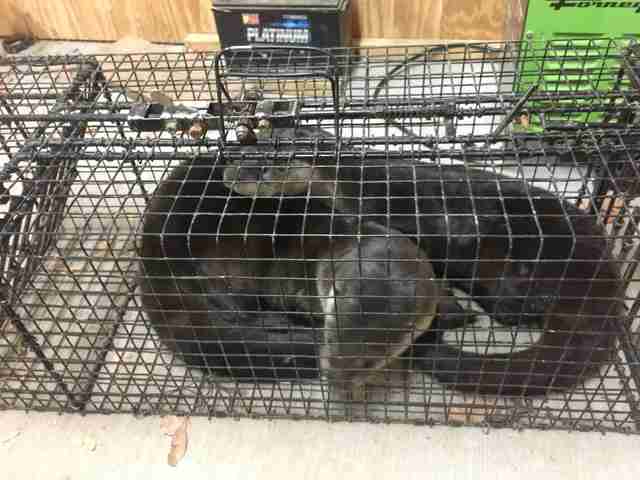 Otters trapped accidentally outside of the season have to be turned in to the VFW. "During the month of March, trappers are now required to modify their traps to try to reduce otter intakes," Galdenzi said, saying that's one of the reasons the trappers are pushing to expand the otter trapping season. "The trappers are inconvenienced." But beaver trapping is also controversial, especially since beavers play a large role in preserving wetlands. And at a time when climate change and pollution are decimating many of these delicate ecosystems, the role of the beaver is crucial for the survival of all kinds of species that depend on that kind of freshwater habitat. It isn't just in Vermont that state governments are persuaded by the interests of hunters and trappers, according to Galdenzi. Wildlife departments across the country make money off of the hunting and trapping permits they sell, so while many of them are supposed to regulate the numbers of animals killed, they also end up perpetuating this kind of recreation. "At the end of the day they're going to do what they can to help the trappers," Galdenzi said. Even though the population of river otters is thought to be more stable today, it wasn't long ago that their populations dangerously dwindled. Because of unregulated trapping and coal, oil and gas industries destroying their habitats, river otters who once thrived all across the country were wiped out from 11 states. In the 1970s, realizing the threats to the animals, people worked to reintroduce the animals to areas where they'd disappeared. 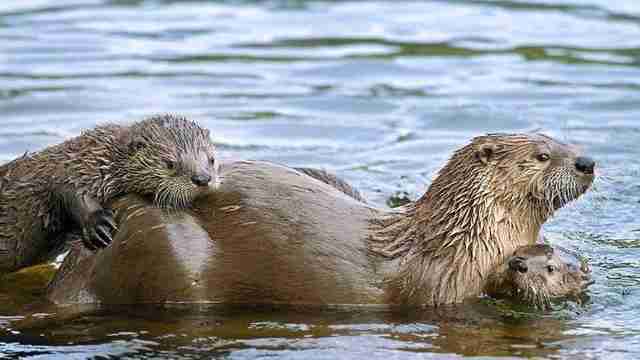 New threats to otters, like water pollution and climate change, are now endangering their survival, on top of the threats from recreational trapping. This is why Galdenzi hopes that the VFW will deny the expansion, and even consider cutting back on the beaver season. "We really shouldn't be killing otters at all," Galdenzi said. "The fact that we're even considering expanding the season is shameful." The Vermont Department of Fish & Wildlife did not immediately reply to The Dodo's request for comment. 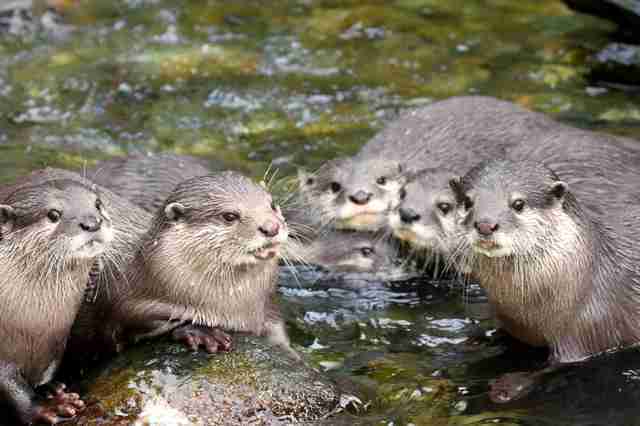 To help POW fight for otters, you can make a donation.